In the mountains of rural Peru, three boys hope to gather grass to feed their animals or wood to burn for cooking. They slip through a barbed wire fence surrounding an electrical tower and find a box. As they started to examine it, the box – a device deployed by the National Police to discourage guerrillas from sabotaging the electrical grid – explodes. One of the boys is blinded and two are maimed. 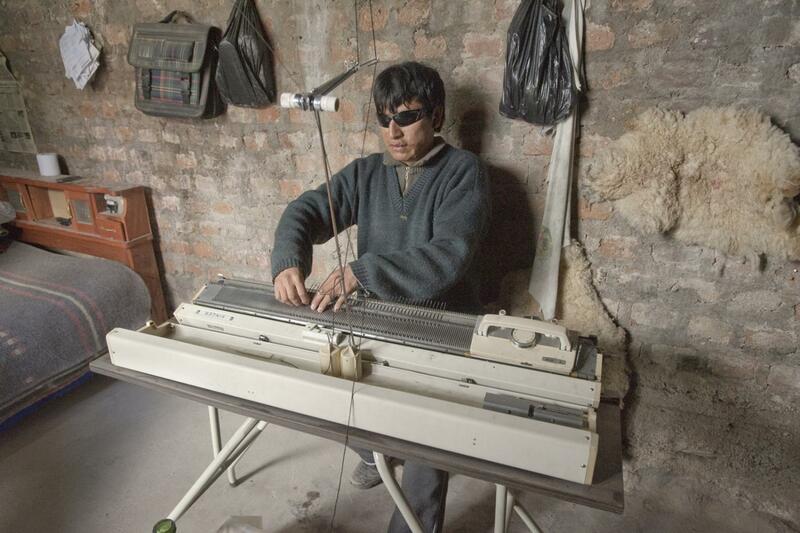 A few years later, the young man who lost his sight receives a knitting machine specially made for the blind. With it, he is able to make parts of sweaters that his parents assemble so that they can sell the finished clothing. In northern Nicaragua, a man goes to work harvesting coffee beans even though he knows that the fields might contain land mines placed there years earlier during the country’s civil war. He steps on one, and the explosion destroys his left leg. 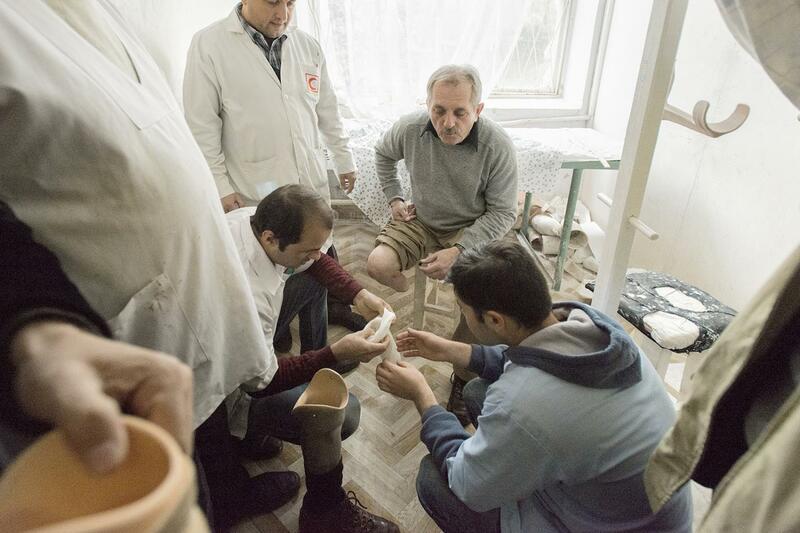 He is eventually able to get a prosthesis, which allows him to walk and to work so that he can once again support himself and his family. These victims of conflict, who might otherwise languish in poverty, have had the quality of their lives greatly enhanced by relatively simple and inexpensive interventions. I have photographed the work of the Polus Center for Social and Economic Development, a small human services agency, for many years as they designed and implemented projects to assist people with disabilities. I have traveled with them as a volunteer on trips to Nicaragua, Honduras, Ethiopia, Peru, Colombia, and Jordan. Support from the Guggenheim Foundation would allow me to photograph civilian victims of conflict as the Polus Center begins work in Tajikistan and continues projects in Jordan and Colombia. The group’s first international project led to the creation of a prosthetics clinic in Nicaragua. Two years later another clinic was established in Honduras. Those successes led to grants for other work, and over the years the Polus Center has gained recognition for its expertise in creating effective victim-assistance programs. While the early work served people whose disabilities stemmed from a variety of causes, their work in recent years has primarily focused on victims of conflict. The Polus Center’s approach involves gathering information directly from people with disabilities through open-ended interviews in their native language, always partnering with people or groups in the particular country in which the work will be done. The interviews are conducted by small teams, usually in homes, clinics, and places of work. This allows me to photograph in intimate settings, in which trust has been established through the process of listening to people talk in detail about their lives, their injuries and losses, the difficulties they face, and the hopes they may have. In these moments, I have found the subjects to be especially open, honest, and vulnerable. Victims of conflict in developing countries or poor regions often have no safety net. They do not have access to insurance settlements for their injuries; they cannot afford lawyers to represent them in personal injury cases; they will not have the option of a desk job. In most instances, the only work available that would allow them to make even a modest living is physical in nature. If they have become disabled, they and their families will have a hard time surviving. Getting a prosthetic, a wheelchair, or other assistance will likely be a life-changing event. As Americans we are not commonly exposed to non-military victims of conflict. Though the events of 9/11 and other acts of terror in the United States have begun to change that, it is still difficult for most Americans to know what life is like for such people who live in very poor countries and regions. I have never been a photojournalist, and I do not feel the need to make pictures that evoke pity or that try to tell a story in a single image. Rather, I hope as an artist to create a series of images that portray victims of conflict with compassion and dignity, that call attention to the fact that innocent people around the world continue to be injured by land mines and explosive remnants of war, and that illustrate how it is neither costly nor difficult to help them rebuild their bodies and their lives. 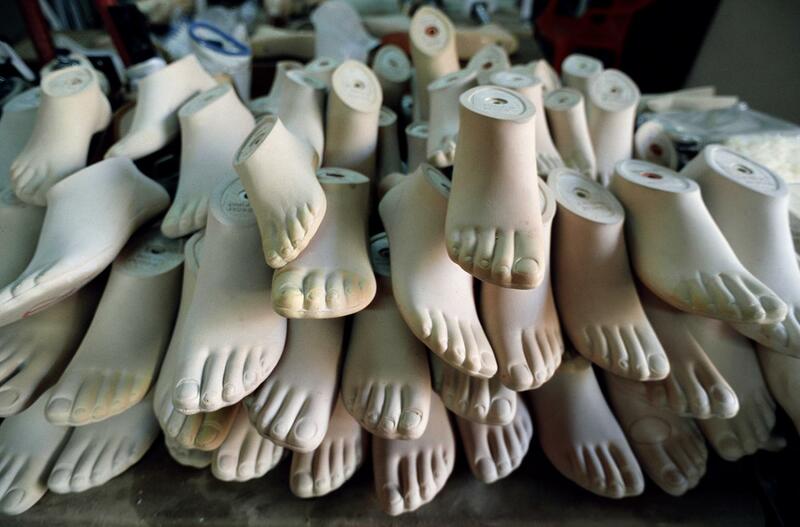 Prosthetic feet donated by American manufacturers piled on a table at the Walking Unidos Clinic in Leon, Nicaragua. Since 1998 I have photographed the work of the Polus Center for Social and Economic Development, a small human services organization whose international projects assist people with victims of conflict and people with disabilities. 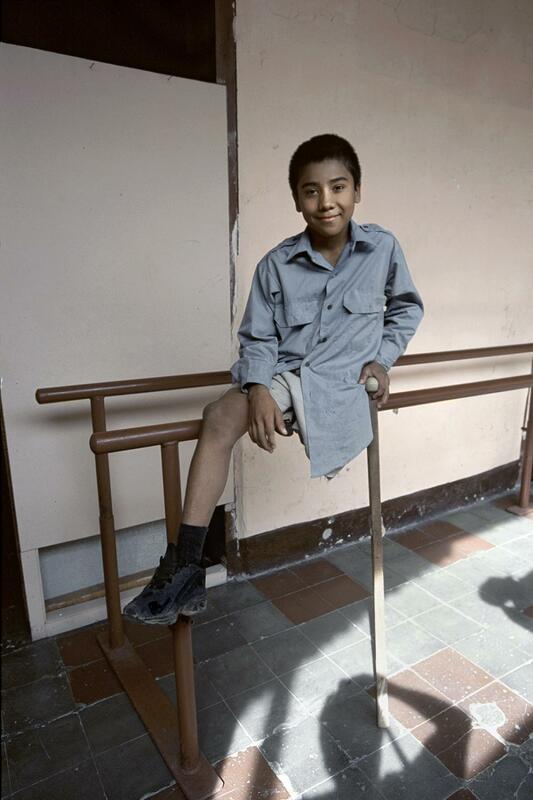 Their first efforts led to the opening of the Walking Unidos prosthetics clinic in Nicaragua. That country’s revolution and civil war left 30,000 people dead and countless more injured. Crushing poverty compounds the difficult circumstances already faced by people with disabilities. 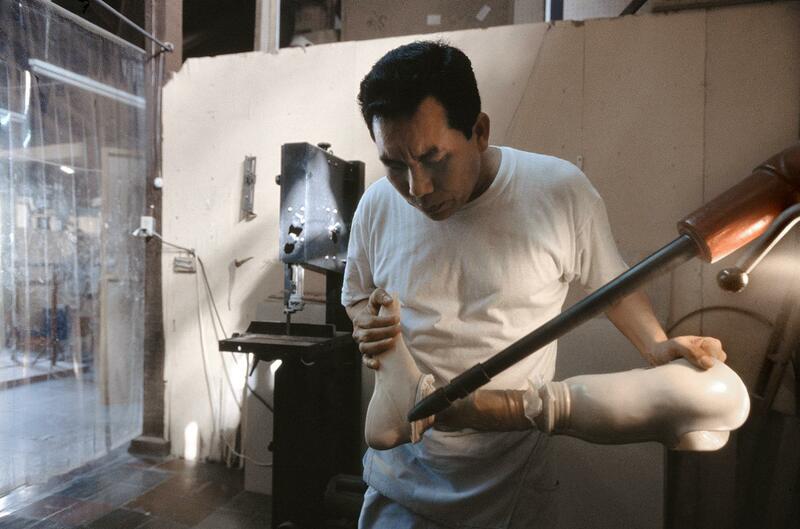 Losing a limb often means losing the ability to earn a living, to get an education, to acquire job skills. Receiving a prosthetic limb or a wheelchair is of life-saving significance to individuals, their families, and their communities. It can determine whether someone can rebuild their life and become self-reliant, or instead will remain dependent and indigent. 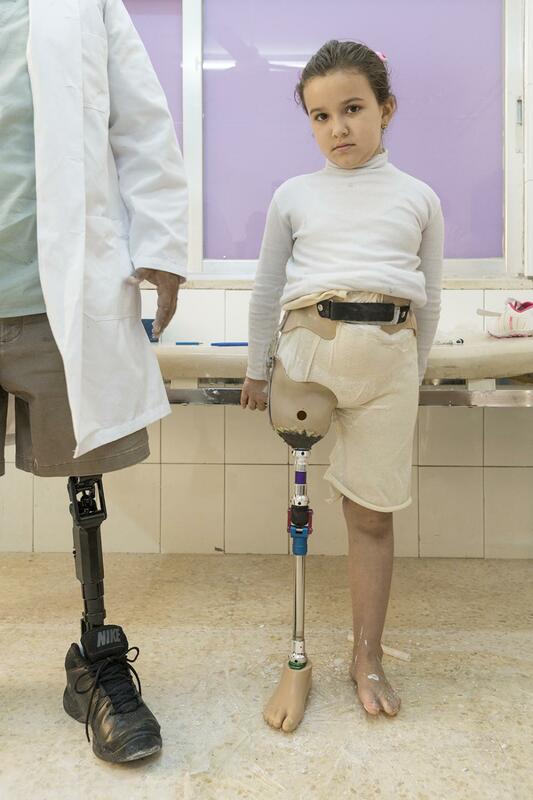 Many countries are still plagued by land mines, unexploded ordnance, and explosive remnants of war. I have traveled to Nicaragua, Honduras, Peru, Colombia, Ethiopia, Jordan, Tajikistan and the Democratic Republic of Congo to photograph the Polus Center’s work to improve lives. 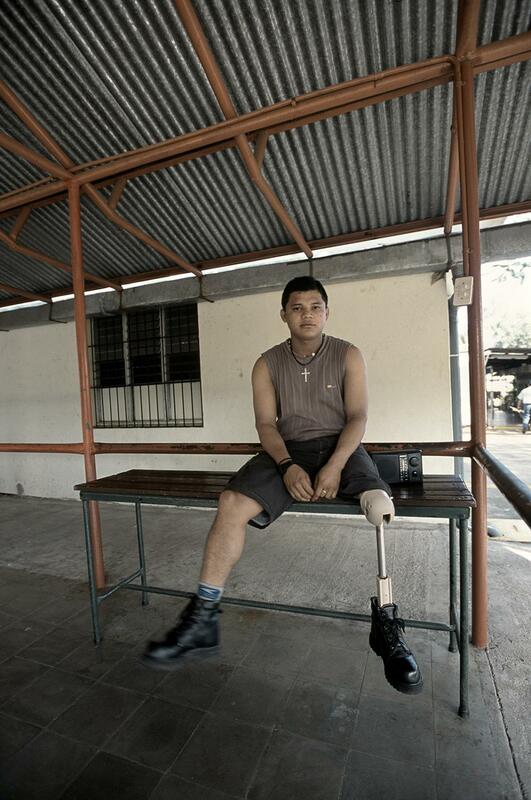 Marlon Sirias lost his left leg from a bullet wound suffered in Nicaragua's civil war. He is shown being interviewed at his home in Leon, Nicaragua. Manuel deJesus, who lost his legs from a land mine explosion during Nicaragua's civil war, works shining shoes on the streets of Leon, Nicaragua. 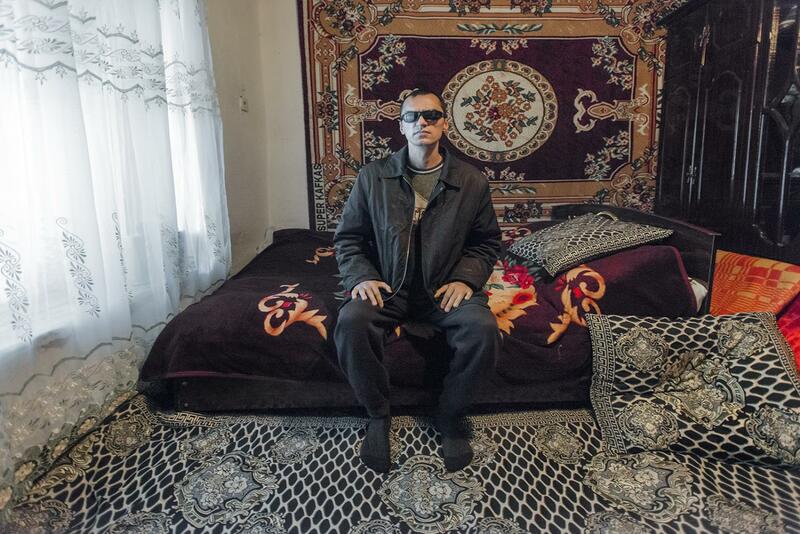 Abdulkhairov Saighufron, who lost his lower arms and left eye when a land mine exploded near him as he was walking to visit relatives in Tajikistan. He has a small store near Gharm. 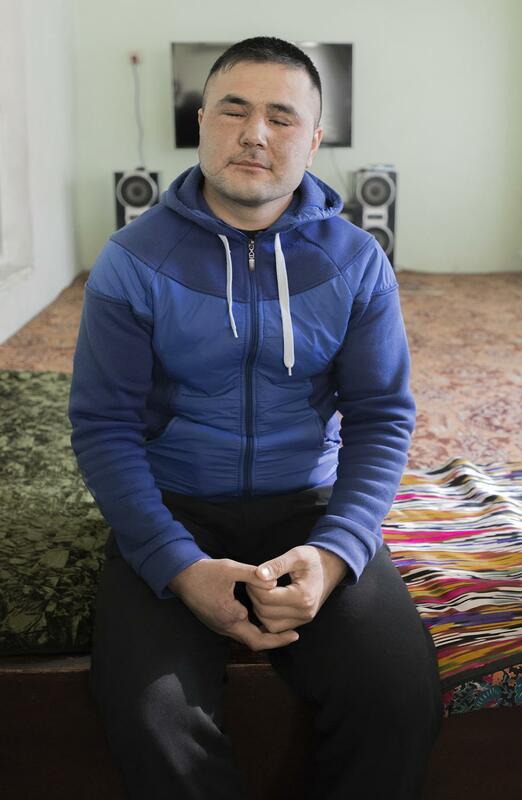 Abdulkhairov Saighufron, who lost his lower arms and left eye when a land mine exploded near him as he was walking to visit relatives in Tajikistan. 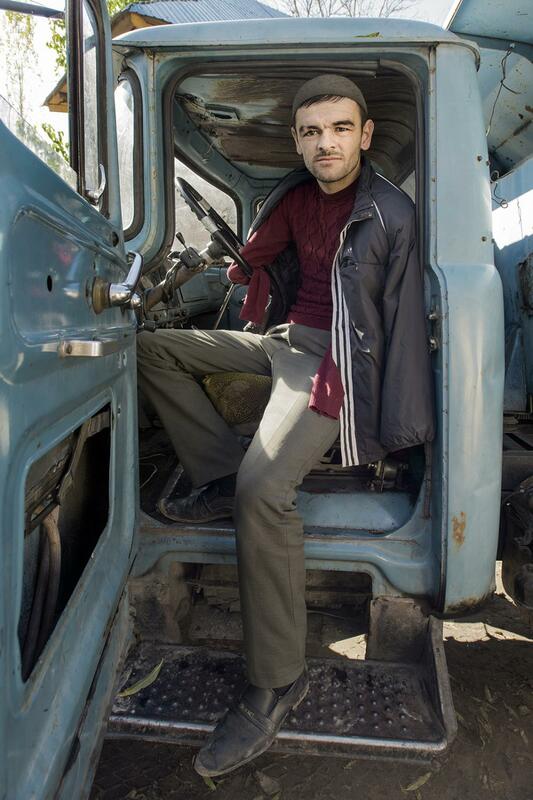 Still, he is able to drive a truck to deliver coal near Gharm. Odilov Sulton was bringing cows in from a field in rural Tajikistan when one of the animals stepped on a land mine. The blast cost killed the cow and cost Odilov his sight. He is shown at his home in Nimich, Tajikistan. 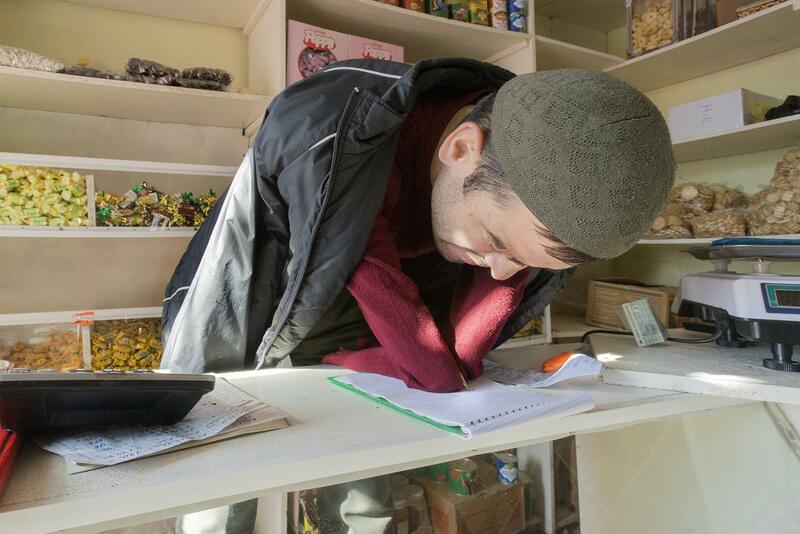 Furkat Ghulomov was working as a de-miner in Tajikistan when a mine detonated. The blast blinded him and also cost him his right index finger. He is shown at his home in Dushanbe. 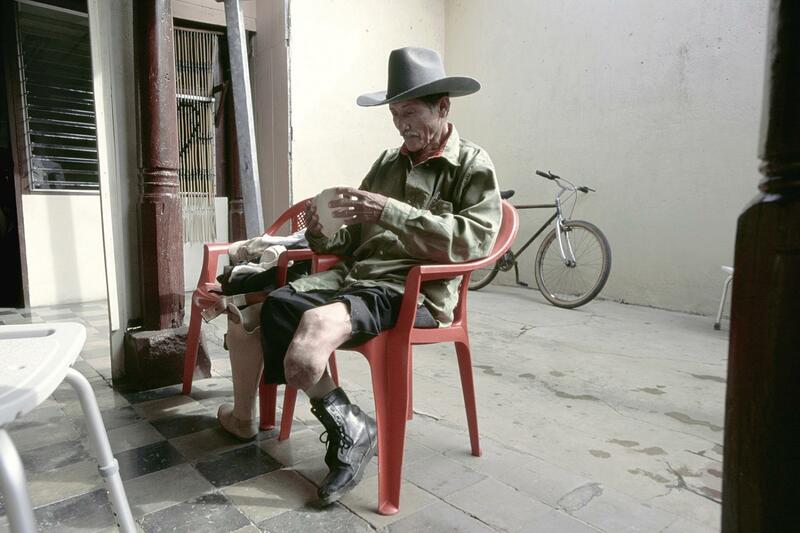 Domingo Vigil waits to be fitted with a prosthetic leg at the Walking Unidos Clinic in Leon, Nicaragua. Mario Icaza, who lost a leg during Nicaragua's civil war, works as a prosthetic technician at the Walking Unidos Clinic in Leon, Nicaragua. Coffee break at the Walking Unidos Clinic in Leon, Nicaragua. A young man rests from his work hauling a cart in a public market in Leon, Nicaragua. 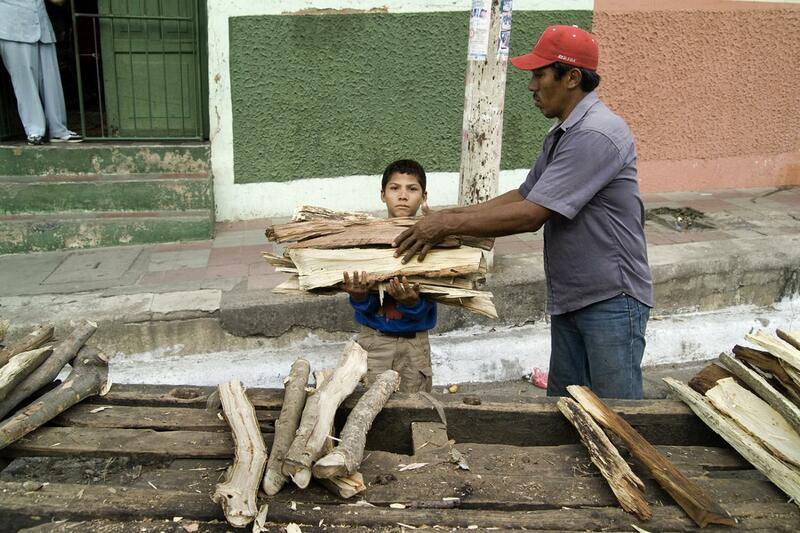 A boy helps his father unload wood for sale into a home in Leon, Nicaragua. Most work that is available to people there is very physical in nature. 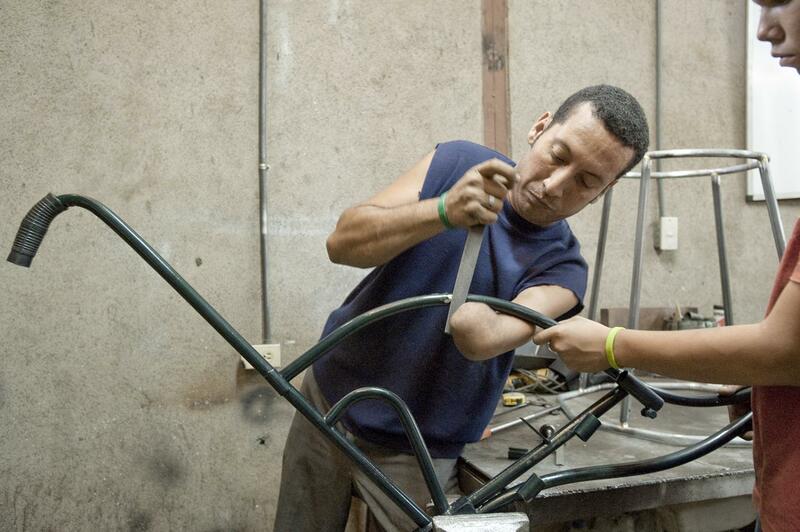 Alejandro Zelaya, who lost his lower right arm in a gun accident, works at the PLUSAA wheelchair workshop in Leon, Nicaragua. Aracely Gonzalez shows the injuries she received when a land mine exploded near her in the coffee-growing region of northern Nicaragua. 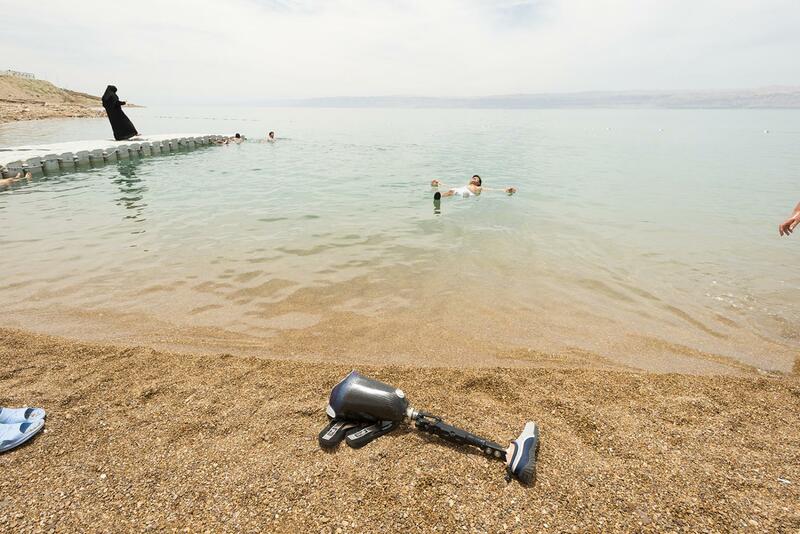 Erick Alvarez, a prosthetist who lost a leg from a motorcycle accident, floats in the Dead Sea in Jordan. 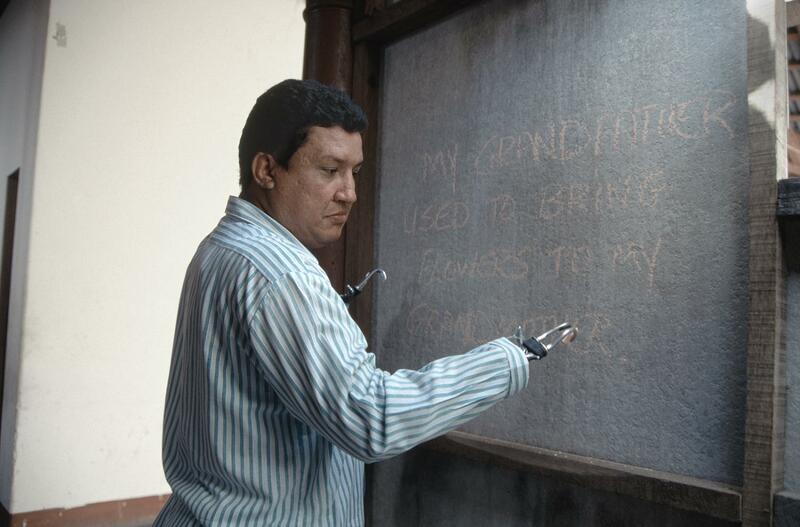 Angel Cuellar was a pilot in Colombia's army when his small plane was shot down by FARC rebels. He was very badly burned, but survived. 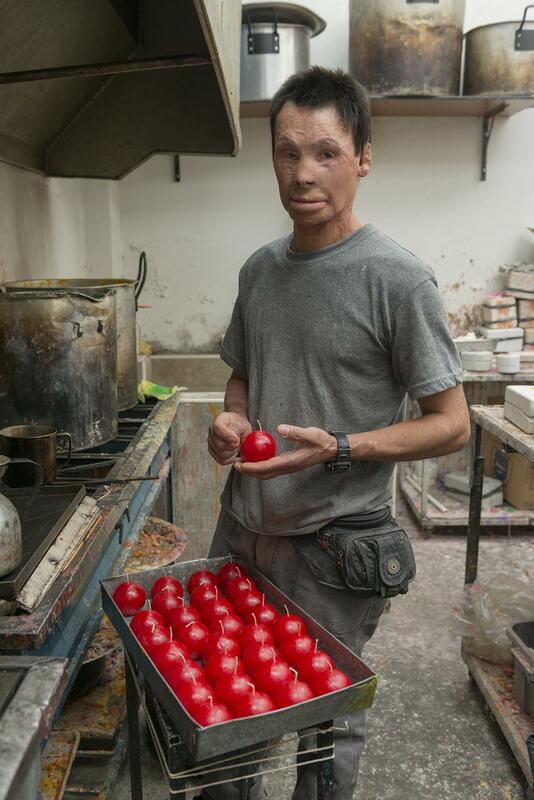 He works making candles in a rehabilitation facility in Bogota. Alexei Antonio was an infant when his mother fled her village in Nicaragua when it was under attack from Contra forces during the country's civil war. She was shot from behind, and the bullet struck her child's upper leg, leading to its amputation. 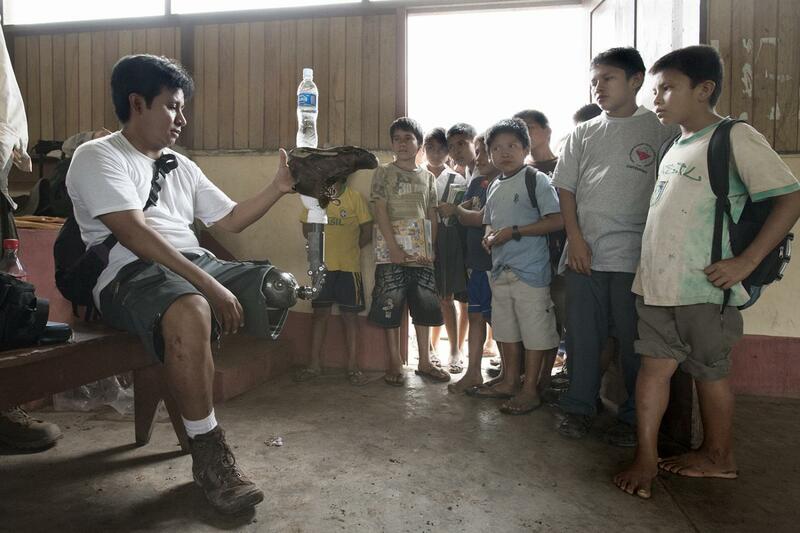 He is shown at the Walking Unidos Clinic in Leon, Nicaragua, where he was about to be fitted with a prosthetic leg. Farah's village in Syria was attacked by government forces who dropped barrel bombs. Shrapnel injuries led to the amputation of her right leg. She is show with her prosthetist Erick Alvarez at a rehabilitation center in Amman, Jordan. 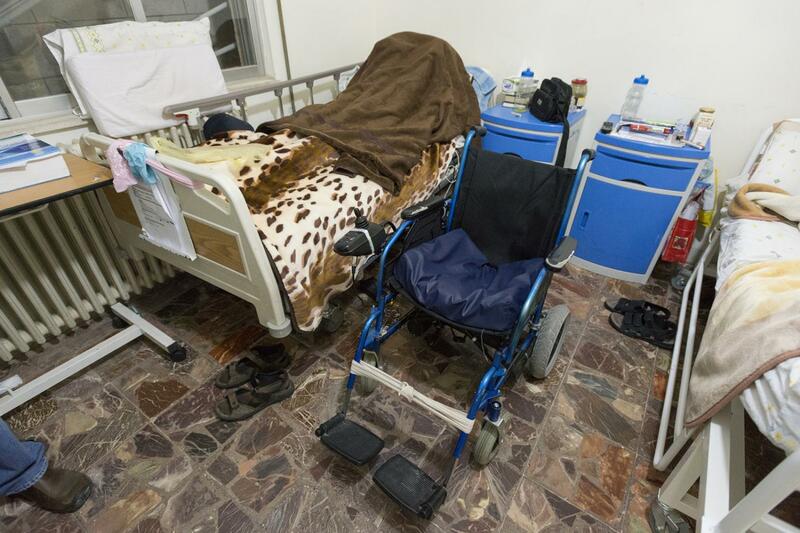 A Syrian man hides under a towel in his bed at a rehabilitation center in Amman, Jordan. Many who fled Syria's civil war are afraid that if they go back to their country and are recognized in any photos as having left Syria, the government will presume that they were fighting against it and will punish them. 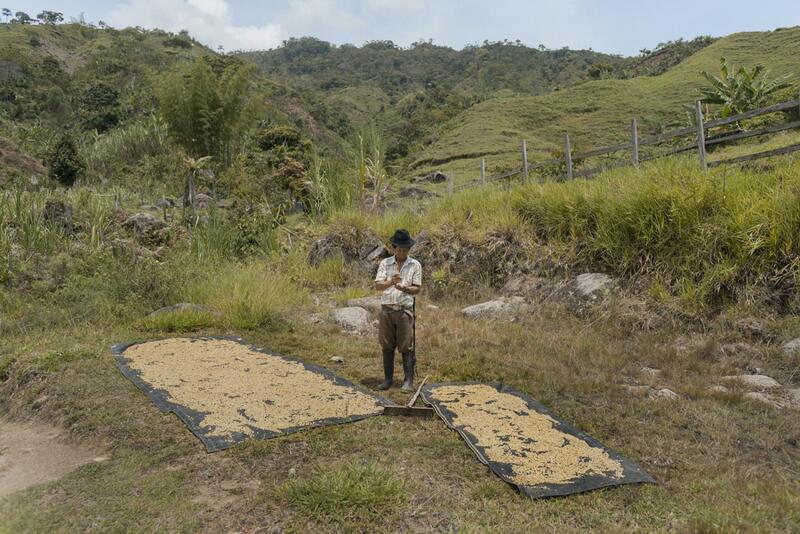 Diego Correa is a land mine survivor who grows coffee in the Caldas region of Colombia. Dave Evans, a prosthetist who lost his legs from a booby trap explosion when on patrol as a Marine in the Vietnam war, teaches trainees at a workshop in Dushanbe, Tajikistan. 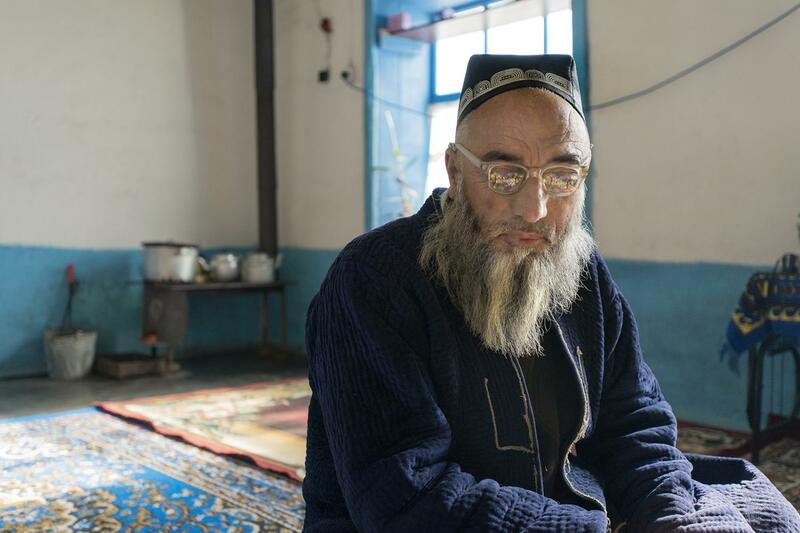 Khisrav Rafiev lost his sight when a bomb detonator he and friends found in a field near their home in Tajikistan exploded after they tossed it into a fire. He is shown at his home near Gharm. Zubaidullo Mahmadnosiros was bringing animals back from a pasture in rural Tajikistan when he stepped on a land mine. The blast cost him his legs, and he now uses two prostheses. 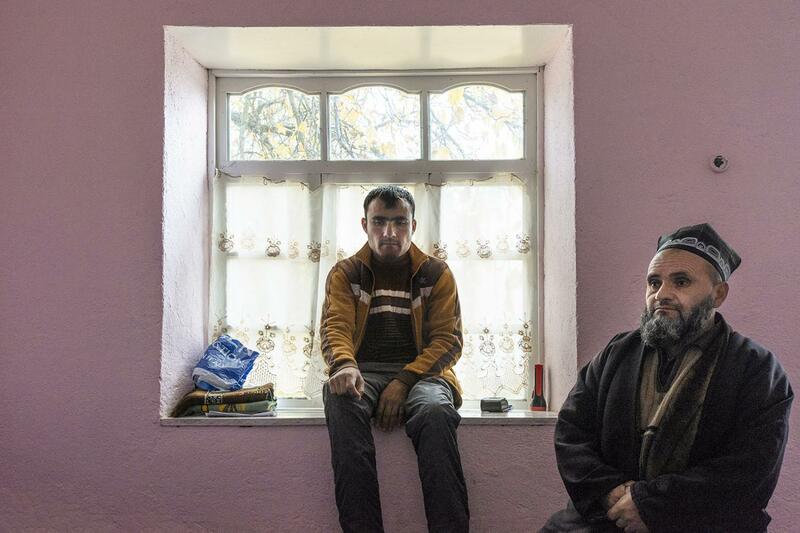 He is shown with his father at his home near Gharm. Gustavo Martinez was clearing some land with a machete on his farm in the Antioquia region of Colombia when he struck a grenade left over from fighting with the FARC guerrillas. 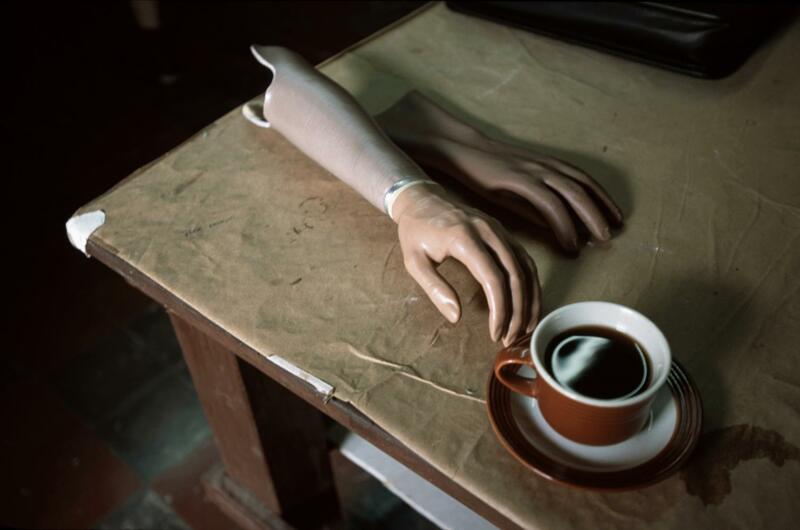 The explosion badly damaged his left arm, but he still works growing coffee. 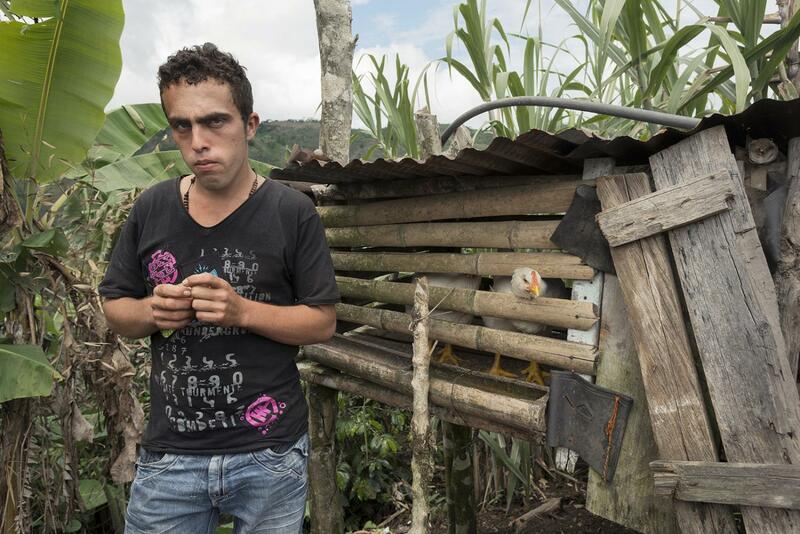 Braulio Osorio is a land mine survivor who raises coffee in Antioquia, Colombia. Enmanuel Alonso was carrying home-made bombs during Nicaragua's civil war, hoping to destroy a National Guard arms cache. A military jeep saw him and his friends, and aimed its machine gun at them. 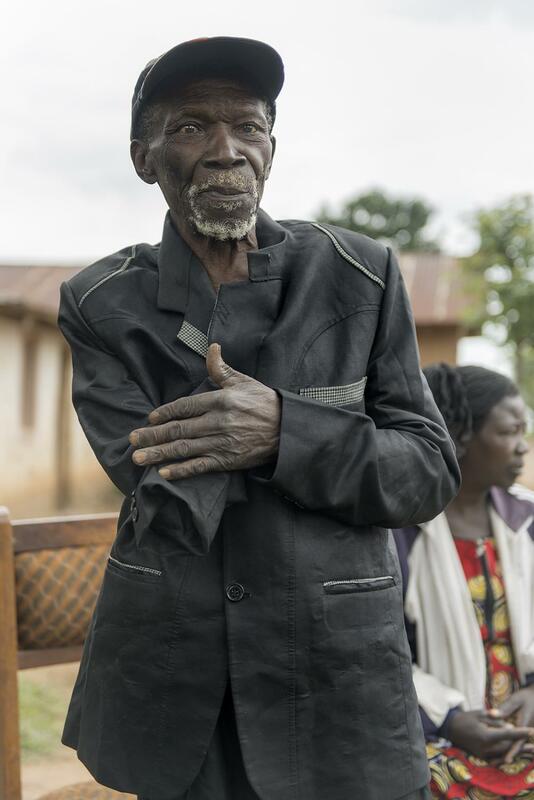 When they dived into a ditch to escape, the bombs detonated, destroying his hands. He now works as a teacher in Leon, Nicaragua. 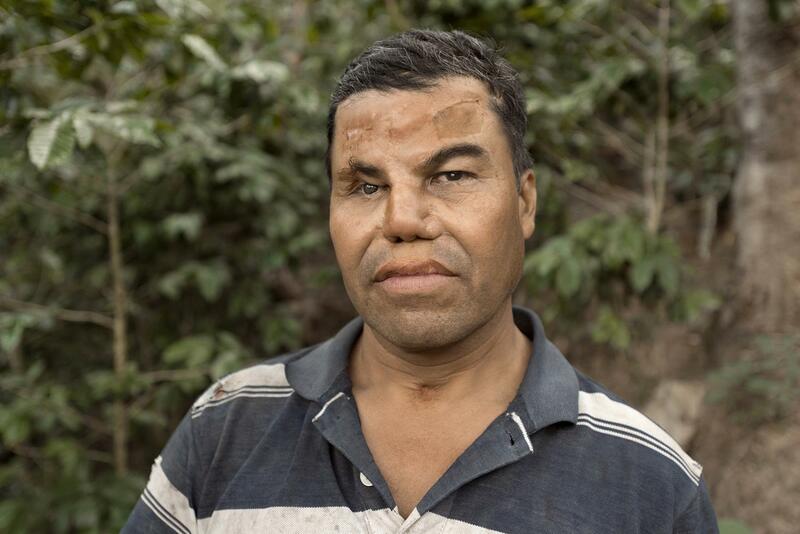 Jose Blandon was a soldier in Nicaragua's army during the country's civil war when a man near him stepped on a land mine. The blast caused extensive injuries to his face. He works growing coffee in Dipilto, Nicaragua. Erick Alvarez, a prosthetist from Guatemala who lost his leg in a motorcycle accident, entertains children in the Amazonas region of Peru. 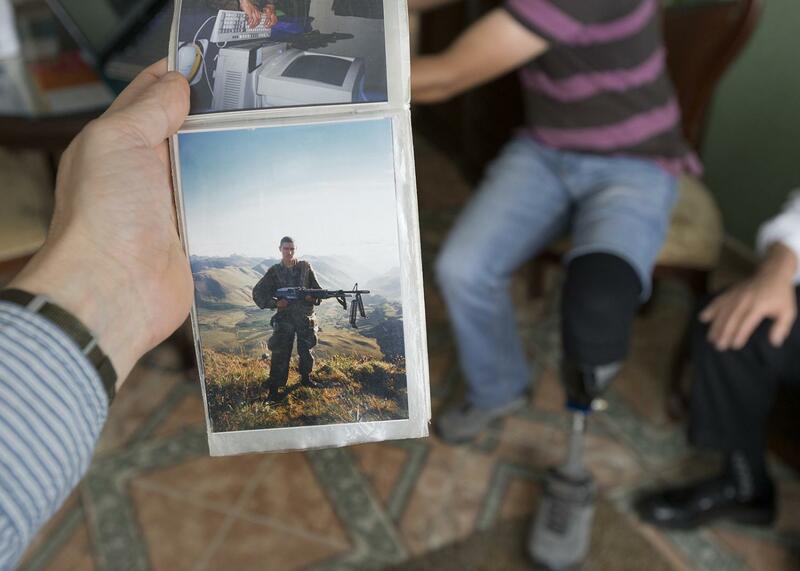 Hernan Dario lost a leg when a land mine exploded near him while he was on patrol as a soldier in the Colombian army. 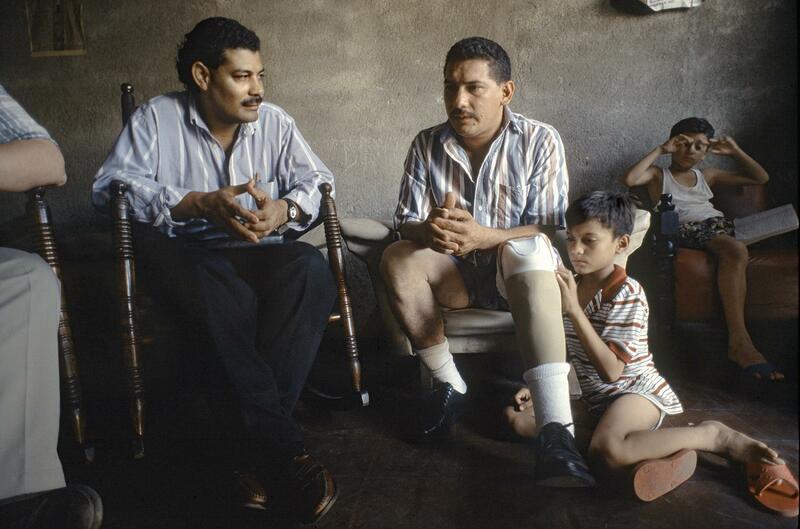 Geronimo Duarte lost his right leg when he stepped on a land mine during Nicaragua's civil war. 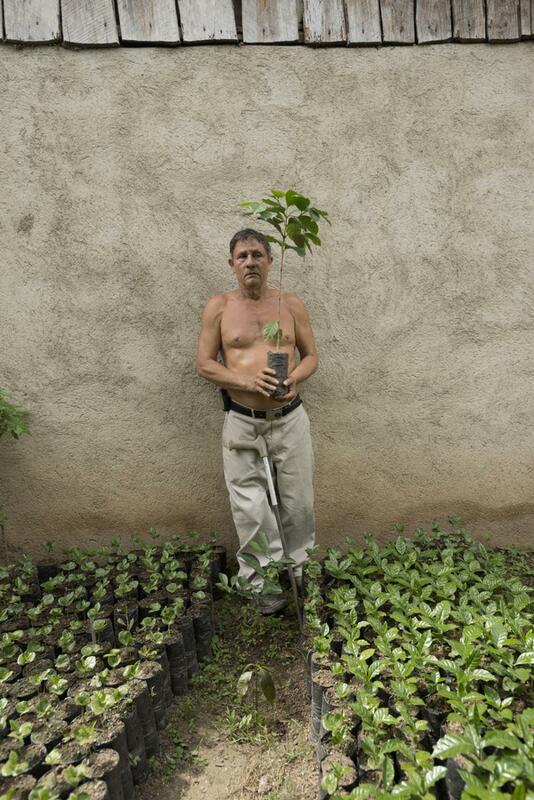 He grows coffee in El Limon, Nicaragua. Roberto Gonzalez with part of his family after describing how his oldest son was killed about 100 yards away a year earlier as he was clearing land to plant coffee and stepped on a land mine left over from Nicaragua's civil war. 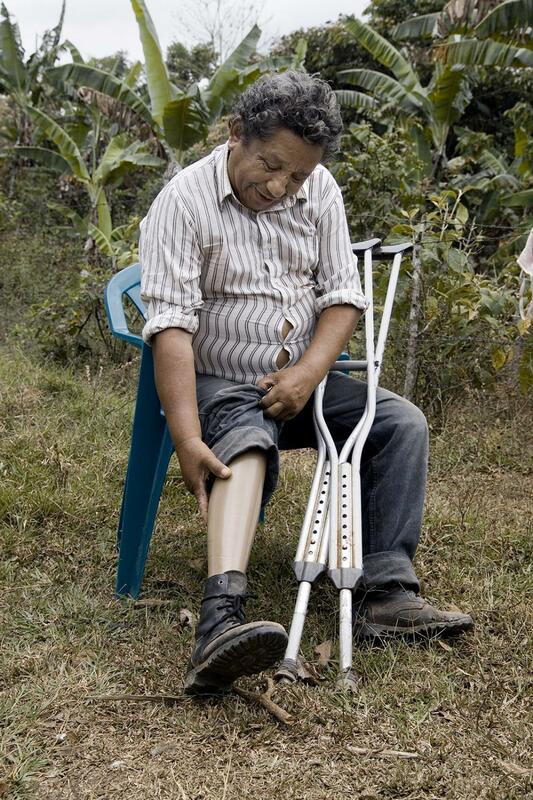 Luis Laguna lost a leg when he stepped on a land mine while harvesting coffee in northern Nicaragua. 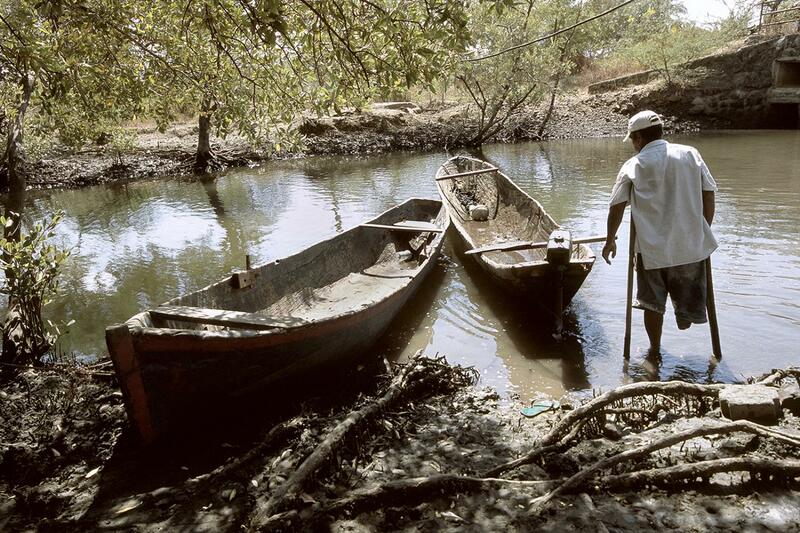 Jose Montalban, a fisherman in Poneloya, Nicaragua, gets ready to go out in one of his boats. He lost a leg when dynamite used to kill fish exploded prematurely. Nerio Chuco was 14 years old when he and some friends were playing with a box they found near the base of an electrical tower in rural Peru. The box was an explosive device placed there by the National Police to prevent guerrillas from sabotaging the electrical grid. It exploded; the blast blinded him and injured his face and chest. He works with a special weaving machine to make parts of sweaters that his family assembles to sell. 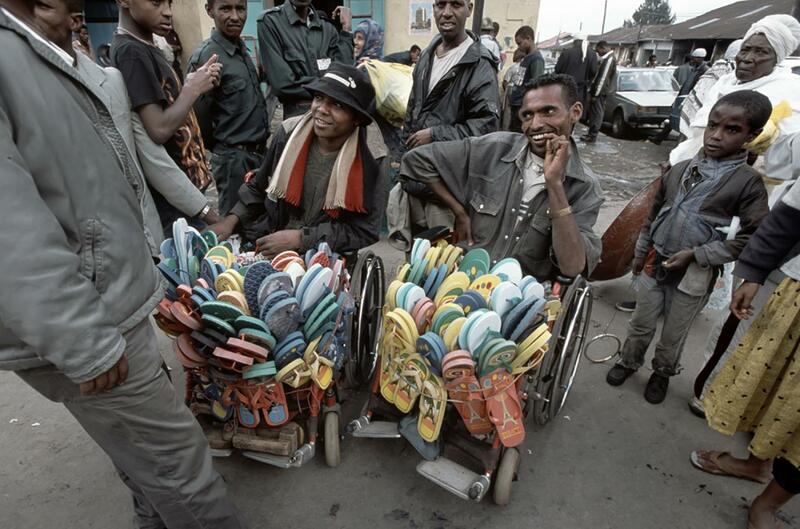 Men sell sandals from wheelchairs in Addis Ababa, Ethiopia. Mercedes Perez used to cross the border from Nicaragua into Honduras to sell clothing during Nicaragua's civil war. 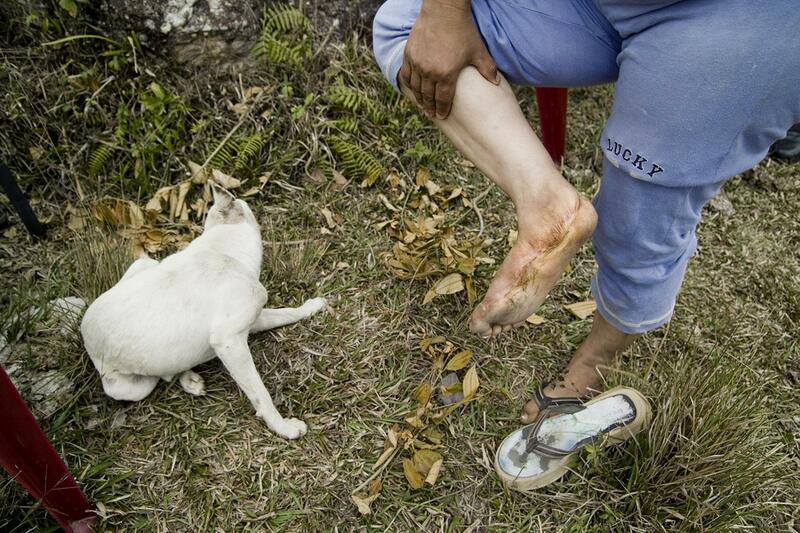 On one trip she stepped on a land mine; the injuries led to the amputation of her right leg. She makes clothing to sell near Leon, Nicaragua. 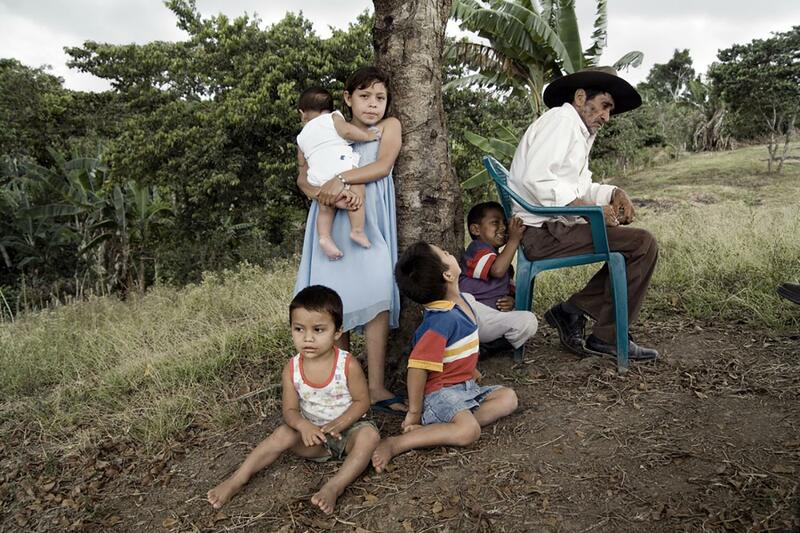 Kenia Castro was a child in eastern Nicaragua when her home was attacked with a bazooka during Nicaragua's civil war. 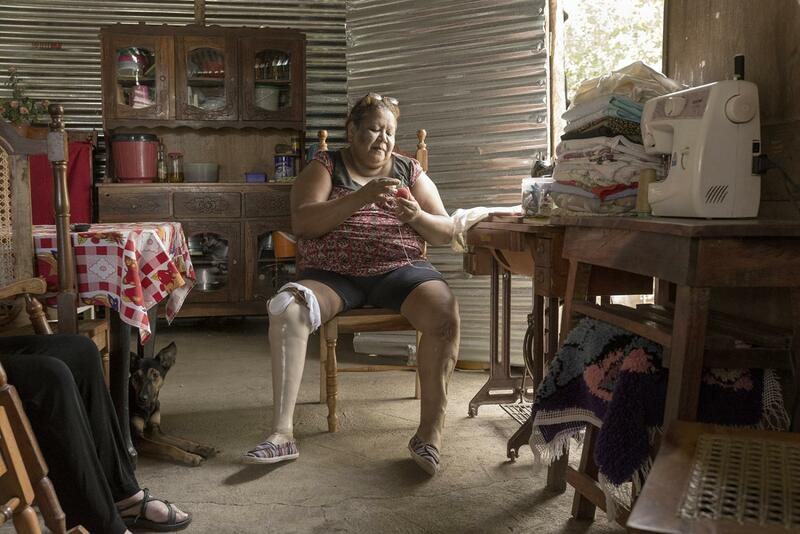 The injuries she suffered led to the amputation of both legs, but she now works as a doctor in Leon, Nicaragua. 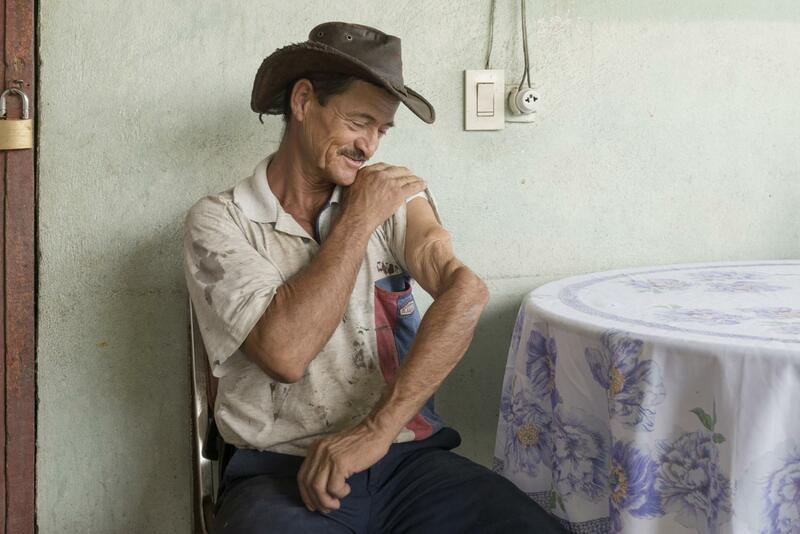 Wilman Vanega was riding a horse at his uncle's farm in northern Nicaragua when the horse stepped on a land mine. The injuries led to the amputation of his left leg. He is shown at a clinic in Managua. Mulume Berlin, Democratic Republic of Congo. 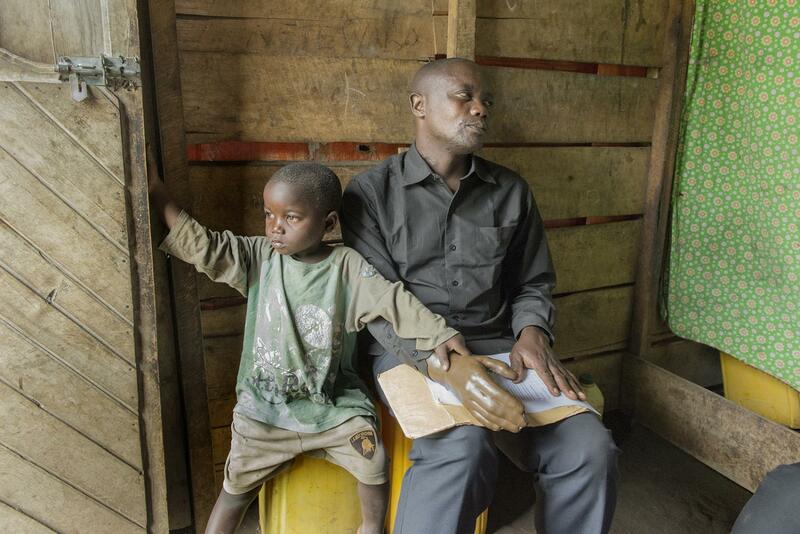 Isaac Wetewabo and Son, Democratic Republic of Congo. 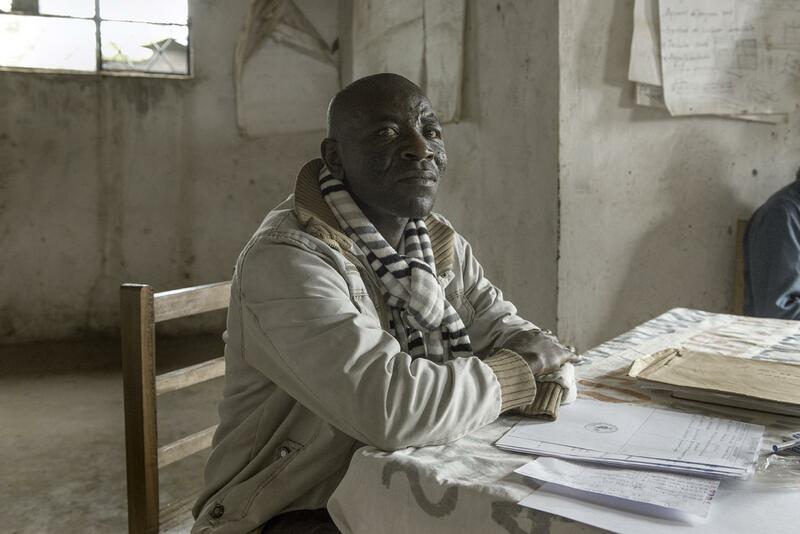 Victims of conflict on the island of Idjwi, Democratic Republic of Congo. 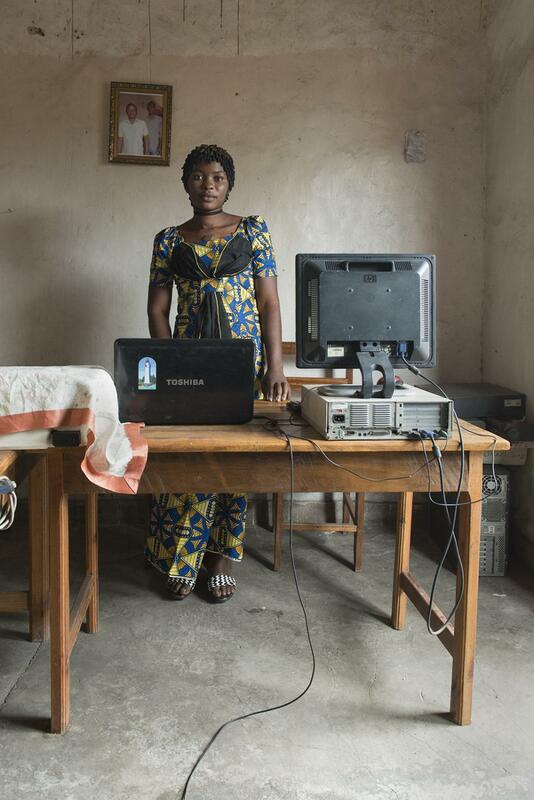 Evelyne Thayigahana, Democratic Republic of Congo.